With the PS Vita just around the corner for non-Japanese audiences, the latest episode of Sony's Access TV for PlayStation owners takes a look at the forthcoming handheld console. Acess TV's weekly offering, produced by TechRadar's publisher Future, is available on YouTube for free. 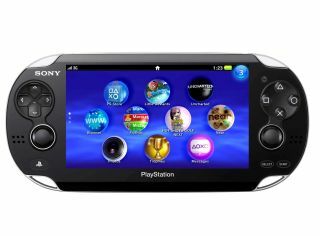 "New hardware launches are always the most exciting time in the games industry, and the arrival of PlayStation Vita in the office was a big day," Access TV editor Nathan Ditum told TechRadar. "We're just beginning to find out what it can do, and we'll have a lot more coverage over the next few weeks." Also included for people's perusal is a look at The Last of Us from Naughty Dog – the people behind the smash hit Uncharted series. "These guys make games like no-one else – listen to the way they discuss performance and story in our interview, and it's clear they're just approaching it from a different direction."